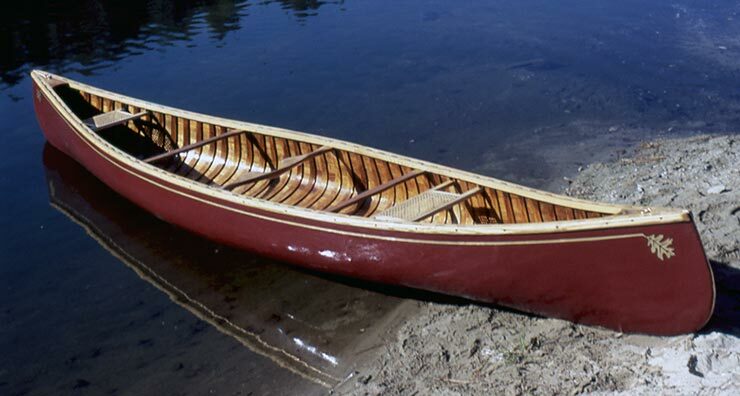 Mike Elliott rescued this 35-year-old Chestnut Prospector canoe from a barn and restored it for David and Virginia Moore of Delta, BC, Canada. He used cedar to repair the hull, ash to replace the gunwales, and cherry for the new decks. The seats are hand-woven cane. 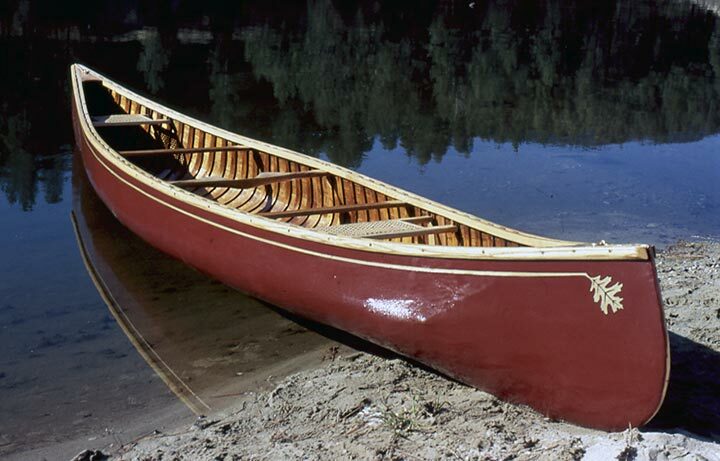 The canoe was relaunched on March 27, 2004. Contact Mike at Kettle River Canoes, P.O. Box 2324, 695 Central Avenue, Grand Forks, BC, Canada. V0H 1H0. His email is artisan@canoeshop.ca or checkout his website at www.canoeshop.ca.